There are many effective anti-aging treatments on the market, and today we’ll discuss microneedling, a process that uses your body’s own natural healing abilities to restore your skin’s youthful appearance. 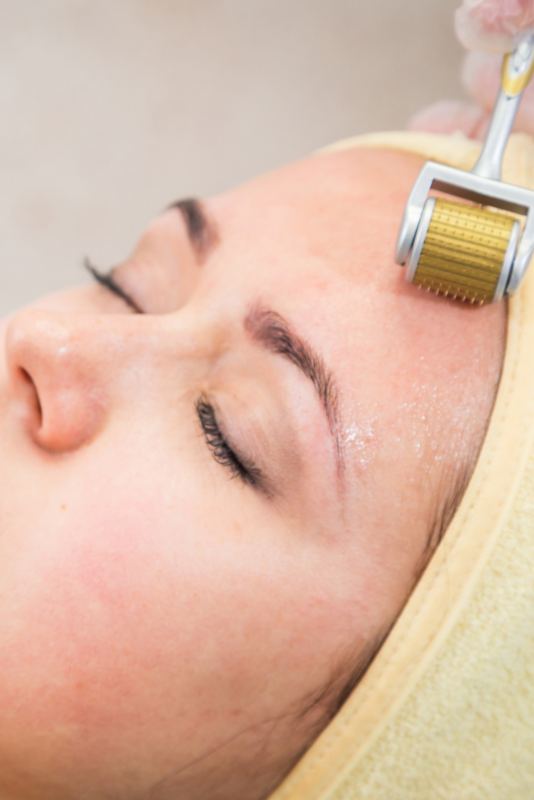 Microneedling is also known as collagen induction therapy because the process stimulates the production of collagen and other natural processes to replenish cells, increase blood flow, and rejuvenate your skin. The procedure uses an electronic device with very fine needles that penetrate your skin and create microscopic wounds. This is where your body takes over, stimulating collagen, your skin’s building-block protein, to fill in the gaps and repair tissues. When we are young, our skin naturally replaces lost collagen and skin cells, constantly renewing itself. This is why young skin looks smooth and elastic. As we age, these processes slow down, often leaving gaps where we used to replenish lost collagen. This is where we see fine lines and wrinkles begin to develop, in those gaps where collagen loss is more prevalent. Microneedling speeds these processes back up, encouraging the same youthful rejuvenation that your skin experienced in its younger years. This can fill in these gaps with collagen, reducing visible signs of aging like wrinkles and lines. The process also works to heal mild scarring, particularly from previous acne breakouts. Scars result when the body fails to effectively replenish the skin’s proteins and build new skin cells to replace those that were damaged. It can also work to reduce the appearance of large pores or to even out skin tone affected by hyperpigmentation. Depending on your needs, the procedure can take about 30 minutes. While some redness may occur, this disappears quickly, and microneedling is virtually pain-free. In most cases, more than one treatment is recommended for optimal results, and your esthetician will explain the recommended regimen for your needs before your first treatment. The first step is a consultation with your esthetician to see if microneedling is the right solution for your needs. Make a consultation appointment today at Helen’s Haven. Our professional estheticians will assess your skincare needs and recommend the best course of treatment to leave your skin soft, smooth, and younger looking. Find us at 4819 Ave., #6 in Honolulu, or call 808-739-0400 to set up your appointment. If you prefer to instantly schedule your own appointment, try our free mobile app, available on the App Store, Google Play, and Amazon.